Atopic dermatitis is a severe form of eczema characterised by itchy swollen cracks and scaly patches on skin. Image courtesy of BruceBlaus. 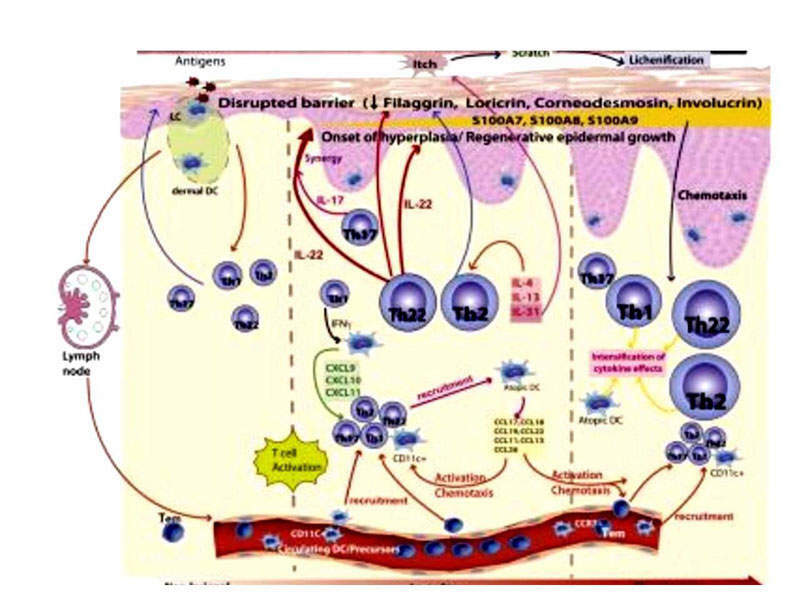 The disease is caused by an allergic response generated by the Type 2 helper T cells, or Th2 cells. Dupixent blocks the intercellular signalling of IL-4 and IL-13, which are responsible for maintaining the immune response of Th2 cells. Dupixent (dupilumab) is developed by Sanofi and Regeneron as a treatment for moderate-to-severe atopic dermatitis in adult patients. The US Food and Drug Administration (FDA) granted breakthrough therapy designation to Dupixent for uncontrolled atopic dermatitis in 2014. The FDA accepted a biologics license application (BLA) for the drug on 26 September 2016 and granted approval for the treatment of patients with moderate-to-severe atopic dermatitis (eczema) in March 2017. Dupixent also received marketing authorisation (MA) for the drug in the EU to treat atopic dermatitis in adult patients in September 2017, as well as approval in Canada and Japan. In addition, the FDA granted approval to the drug as an add-on maintenance therapy in October 2018 to treat moderate-to-severe asthma in patients aged 12 years and over with eosinophilic phenotype or oral corticosteroid-dependent asthma. The FDA accepted a supplemental BLA for the drug under priority review status to treat adolescent patients of between age 12 and 17 with moderate-to-severe atopic dermatitis in November 2018. The target action date for the decision is set on 11 March 2019. 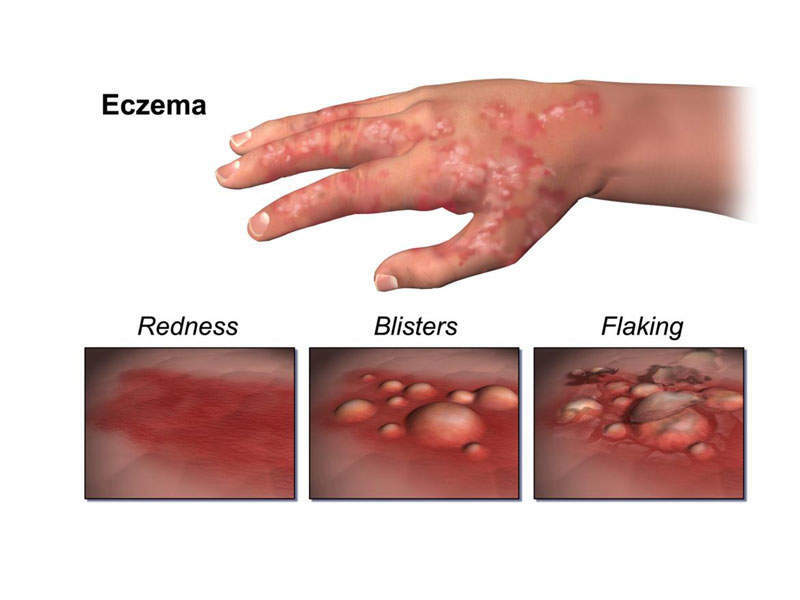 Atopic dermatitis is a long-term chronic form of eczema and is commonly seen in people with sensitive skin and a malfunctioning immune system. The disease results from an allergic response generated by a subset of immune cells known as Type 2 helper T cells (Th2). The skin infection is characterised by inflammation of skin along with itchy, red, swollen cracks, oozing and crusting blisters, dry skin, ear discharge or bleeding, change in skin colour and thickened or leather-like patches on skin formed due to irritation and scratching. The disease is most commonly seen in infants younger than two years with itchy and scaly rashes on the face, scalp, hands, and feet. In adults with atopic dermatitis, rashes are often developed inside the knees and elbow and also around the neck, hands, and feet. An estimated seven to eight million adults in the US are affected with moderate-to-severe form of atopic dermatitis. 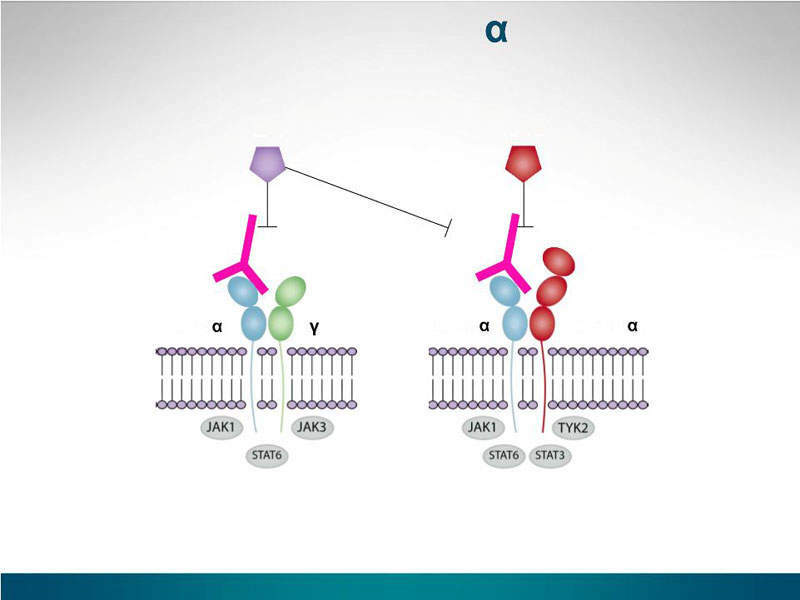 Dupixent is an mAb that targets the interleukin-4 (IL-4) receptor alpha subunit (IL-4Rα) and blocks the intercellular signalling of IL-4 and IL-13, cytokines that help maintain the immune response of Th2 cells. The drug blocks IL-4 and IL-13 signalling and successfully mitigates the symptoms of atopic dermatitis. The drug is administered as an injection under the skin. The FDA’s approval of the drug was based on the results obtained from the global Liberty AD clinical programme, which included approximately 3,000 patients in Phase III trials SOLO 1, SOLO 2 and CHRONOS. CHRONOS was a Phase III, randomised, double-blind, placebo-controlled, multi-national trial conducted to evaluate the efficacy and safety of the drug. It enrolled 740 adult patients with moderate-to-severe atopic dermatitis that were initially treated with medium-potency topical corticosteroids (TCS) or low-potency topical corticosteroids (TCS). The subjects in the trial were divided into three treatment arms, which received either dupilumab 300mg once a week, dupilumab 300mg every two weeks or placebo. The study met its primary and secondary endpoints and dupilumab with TCS improved the overall disease severity at week 16 and 52 compared with placebo. SOLO 1 and SOLO 2 were two identical Phase III trials conducted on 1,379 patients with moderate-to-severe atopic dermatitis to examine the efficacy and safety of the drug. The subjects were divided into three treatment arms, which received either dupilumab 300mg once a week, dupilumab 300mg every two weeks, or placebo for 16 weeks after an initial dupilumab dose of 600mg or placebo. The subjects of the trial were assessed on a five-point Investigator’s Global Assessment (IGA) scale and Eczema Area and Severity Index (EASI). In both the trials, subjects that received dupilumab 300mg once a week and 300mg for every two weeks achieved clearing or near clearing of skin lesions, as well as EASI-75 at week 16 compared with the subjects that received placebo. The trials also demonstrated that treatment with dupilumab reduced disease severity and itching, and improved both quality of life and mental health of the patients. The FDA’s approval of Dupixent as an add-on maintenance therapy for moderate and severe asthma patients was based on pivotal, randomised, placebo-controlled, multicenter clinical trials Trial 1, Trial 2 and Trial 3. The pivotal trials evaluated the safety and efficacy of the drug in 2,888 adult and adolescent patients suffering from moderate-to-severe asthma. The drug reduced the exacerbations and improved lung function in the patients in Trial 2. Severe exacerbations were reduced by 67% compared with placebo and lung functions by 29%-33% compared with 14%-16% in patients that received placebo. In Trial 3, Dupixent reduced the use of average daily oral corticosteroid by 70% compared with 42% in patients treated with placebo. More than 50% of Dupixent-treated patients completely eliminated the use of oral corticosteroids.